In this snowstorm, I am thinking about the little creatures of the woods, and how they are protecting themselves in trees and under rocks, in the icy waters and in dens. The other day, a customer came in to pick up a book she’d ordered. To my delight, it was a recent (2012) release of a book by Jim Arnosky, Crinkleroot’s Guide to Giving Back to Nature, one of only two Crinkleroot titles still available. The Crinkleroot books were staples at our bookstore when we opened and for several years thereafter. When they went out of print, our customers complained vocally. These nature books had a unique approach and appealed to so many people; children, teachers, and parents gobbled them up. (from www.jimarnosky.com) We met Mr. Arnosky once, many years ago. He does look a bit like his character, Crinkleroot! 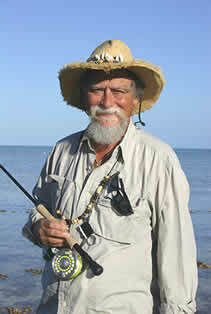 Jim Arnosky has contributed scores of fabulous books to the world that introduce young and elementary-school-aged children to nature, lots of which are still in print. Even though many beautiful Arnosky books are available, I also really want Crinkleroot back, too. That bearded guide took kids into swamps and forests and deserts, and taught them about the changes that happen in the natural world as seasons dramatically shift. The Crinkleroot books provided perfect beginning portals to learning about birds and mammals and fish, animal tracks and trees and so much more—fourteen titles in all. 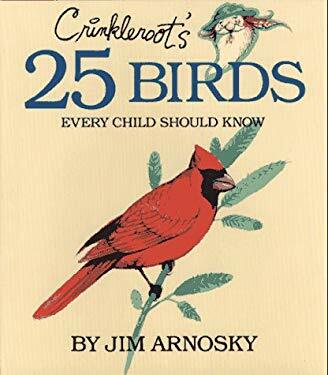 I still haven’t found ideal substitutes for Crinkleroot’s 25 Birds Every Child Should Know and Crinkleroot’s 25 Fish Every Child Should Know. Drives me crazy. You know those beautiful little stores or restaurants you love, that are gems? And how sad and helpless you feel when they close, and how, years later, you still feel a pang every time you have a hankering to visit that place? That’s how my customers (and I) feel about the Crinkleroot books. After all, these are award-winning books by a nature expert. From his website: Jim Arnosky “has written and illustrated 132 books on nature subjects and has illustrated 46 other books written by various authors. … He has been awarded the Christopher Medal, Orbis Pictus Honor, ALA Gordon Award, and Outstanding Science book awards from National Science Teachers Associations.” Come on. If nothing else, doesn’t that just scream Common Core? I am grateful that Crinkleroot’s Guide to Giving Back to Nature is in print. Now, pretty pretty please, Putnam or Simon & Schuster or another enterprising nonfiction publisher, consider bringing back the others. Perhaps combining the Birds/Fish/Mammals/Other Animals volumes together, and doing something similar with the habitat books? And the tracking books? A set of four or five Crinkleroot volumes that hold all 14 titles within their pages would be lovely. Just saying. Because I know Crinkleroot would be able to tell me, with just the right amount of detail, no more and no less, exactly how the woodland creatures of the northern forests are waiting out this snowfall. This entry was posted in Uncategorized on February 14, 2014 by Elizabeth Bluemle. I want Crinkleroot back too!! So happy to see this cry for Crinkleroot’s return. Jim Arnosky’s books in general never get the attention they deserve, IMO. I think Crinkleroot’s only issue is that he came out with these ahead of the curve, so to speak. If these books were “NEW” in today’s market they would be among the hottest sellers. Kids adore them, and the nature/science is as good as it gets. Where do I sign on to join the cheering squad?